What Is an Operational Environment in the Military? In military parlance, the operational environment is the combination of the conditions, circumstances, and influences which will determine the use of military forces and help a unit commander make decisions. 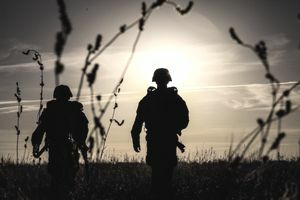 There are many different examples of an operational environment, and in most cases, they describe U.S. troops when they're deployed in another country. The best known, but perhaps the most unsettling one for soldiers and other troops is a hostile environment. It's easy to understand how and why a commanding officer in a hostile environment would make very different decisions about things like troop maneuvers and intelligence gathering than if he or she was in an environment where the U.S. was considered an ally. But not all environments are hostile, of course. A permissive environment is one where the host country's military and law enforcement have control and are willing and able to assist U.S. military operations. There's the uncertain environment, which is when law enforcement and military may not have effective control of the territory in question or its population. This is regardless of whether the leadership of the territory is opposed to or in favor of the U.S. military presence. And the hostile environment is described as a territory where forces hostile to the U.S. military have control and can react in opposition to any operations U.S. troops would conduct, whether in a wartime situation or a peacekeeping operation. An operational environment doesn't just take into account law enforcement and military, however. There's also the local population to consider, and how they interact with local officials. These are known as interrelated variables and sub-variables. Are their rebel forces who sympathize with the U.S.? Or are the hostile to American forces? These are questions a commanding officer would have to know the answers to before launching any kind of action in a permissive, hostile or uncertain operational environment. But it's not only the people in a given territory that make up its operational environment, there are other considerations as well. In addition to the personnel in an operational environment, an Army commander (or another military leader) has to consider such things as weather and terrain when making decisions in a given situation. For example, if a commanding officer finds himself and his company in a hostile territory with a mountainous area and the weather is inclement, he'll have to consider all these things before deciding when or if to send troops on an offensive mission. Today's advanced technological advancements make a significant impact upon the operational environment as all of the above factors are subject to attack by physical means, cyberspace means, electronic means, or a combination of any or all. Technology and its availability are also important factors a commanding officer must take into account in an operational environment. For instance, is the opposing force in a hostile environment likely to have access to high-tech weaponry or vehicles? This is information that would inform decision-making, for sure.